I’m so excited to bring you a delicious recipe today from Johanna of Our Joyful Home. She always inspires me with her delicious food and drink recipes, she’s got a great sense of style, and she’s a fellow PNW-er! Give her some love and definitely give this recipe a try. I mean, how could you not? I’m Johanna, and I blog over at Our Joyful Home. I blog about a lot of stuff like style and DIY projects , but some of my favorite things to share are recipes. 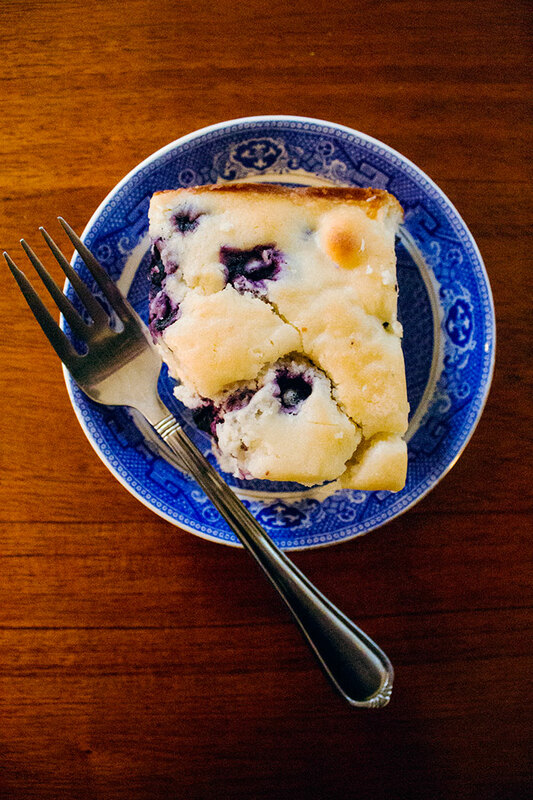 This blueberry cake is something that I started making this last summer when fresh blueberries were everywhere, but you can definitely use frozen blueberries too, just make sure they’re totally thawed out. Either way, it’s so delicious. It’s really simple to make and turns out great every single time (which is amazing for me, because I have kind of a consistency problem when it comes to baking). 2. 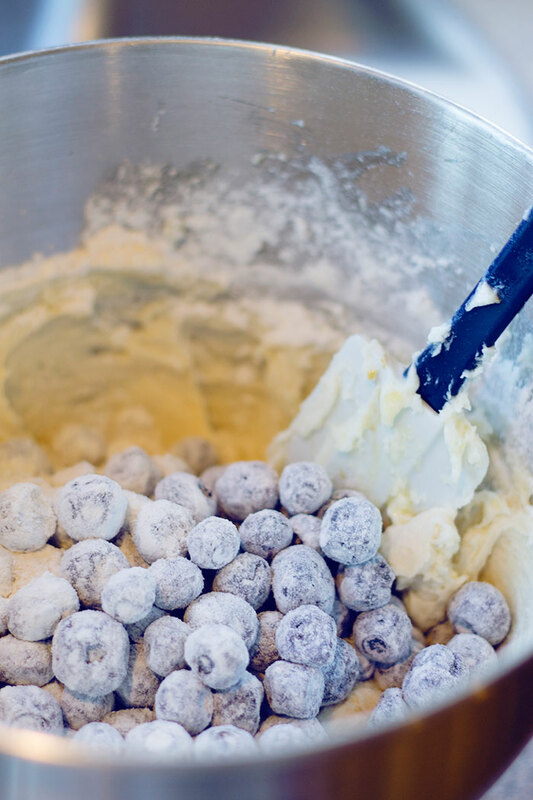 In the bowl of a stand mixer (or a large mixing bowl with an electric beater) cream the butter with the lemon zest and juice. 3. Mix in the eggs and the butter. 4. 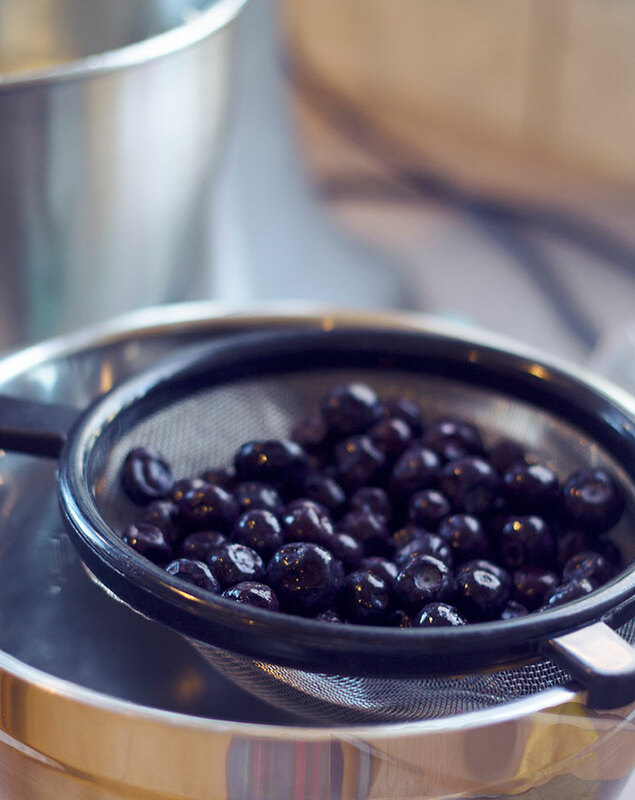 Take ¼ cup from your 2 cups of flour and toss it with the blueberries in a separate bowl. 5. In another separate bowl combine the remaining flour, baking powder, and salt and then mix half of it into the dough in the stand mixer. Add the buttermilk, and then mix in the rest of the flour mixture. 6. Fold in your blueberries. 7. Grease an 8 inch casserole dish and add the batter (which will be thick, more like dough than batter). 8. Bake for 45-55 minutes, until a toothpick or fork inserted in the center comes out clean. Find Johanna at Our Joyful Home, and on Bloglovin’, Twitter, Facebook, Pinterest, and Instagram! Now excuse me while I wipe up my drool. What’s your favorite breakfast treat? Mmm this looks so good, Johanna! And I actually just got a huge container of blueberries on sale at the grocery store because they were randomly on sale. Hi Johanna! This looks nice and easy and amazingly tasty. Also, Jen, hope you’re having a great vacation and props to having such great posts while you’re out of town! Yum! I love blueberries. Any kind of berry really. Lemon isn’t really my thing but I reckon I would like it in something like this. I just bought a MagicBullet blender in the holiday sales and started doing daily smoothies. I used to eat a lot of bread based things for breakfast, but the smoothies are so much better for me. I literally feel so much more energetic for it. Do you ever do smoothies? I’m always looking for new recipes to try! I got addicted to smoothies (again) while on vacation! I’ll have to try your favorite smoothie… but I think I need to get a better blender first. What do you think of your MagicBullet?! Its super easy to clean which I’ve heard can be a problem with other blenders and juicers. You also don’t lose any of the nutrients or fibers like you would with a juicer. oh this looks to die for. I am so ready for summer + fresh fruits! The lemon and blueberry combination is one of my very favorites. I will have to try this out!!! OMG this looks amazing!!!! I’m getting hungry just looking at the pictures. Oh my goodness! I actually don’t bake very often because, well, I kinda stink at it. I should definitely give this a try though because it looks so heavenly! OMG! I really must try this! :) Hope you enjoy it, Youdi!